I spent a lot of my free time over the past several years looking at property for sale online. I grew up in the country and the city life is not for me. Gavin grew up in the city but is a country boy at heart. Looking at real estate is kind of addictive, really; speculating on whether a property is a good deal, wondering if it will still be on the market tomorrow so you can go look at it, and dreaming about the possibilities. Now that the MLS for most localities is online it’s easy to spend a lot of time looking and figuring before you visit in person. There are also other countless searchable real estate and land databases online. We ruled out several properties by just looking at satellite images and seeing what the neighboring areas were like. It definitely saved a lot of driving time. 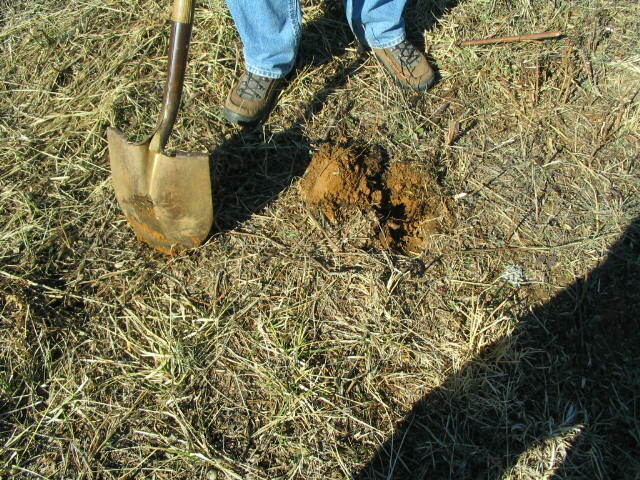 And being able to access soil maps and county assessments without leaving home was a big help. 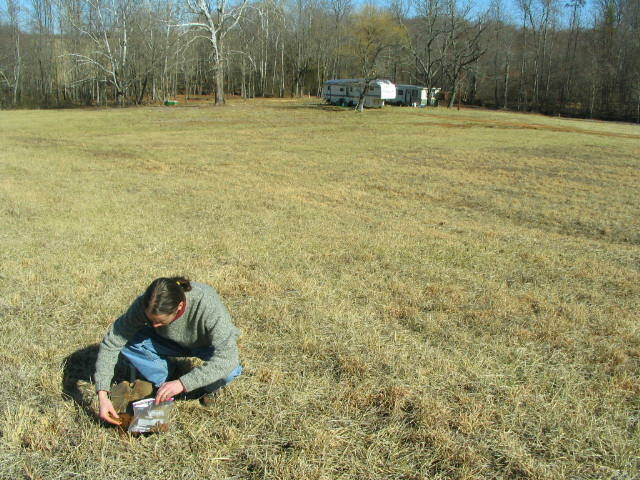 We started off thinking we would be able to find land in Bedford County, where we both work. Bedford is a large county, and it seemed like there would be something, somewhere, even if it were a drive from our jobs. I was looking at anything: raw land, land with a trailer, land with an old house, land with a new house. But after seeing zero options that would work for a farm that we could afford and that we would want to spend the rest of our lives improving, we started expanding our search area. There is so much development in Bedford County, because it’s right between the two cities of Roanoke and Lynchburg. 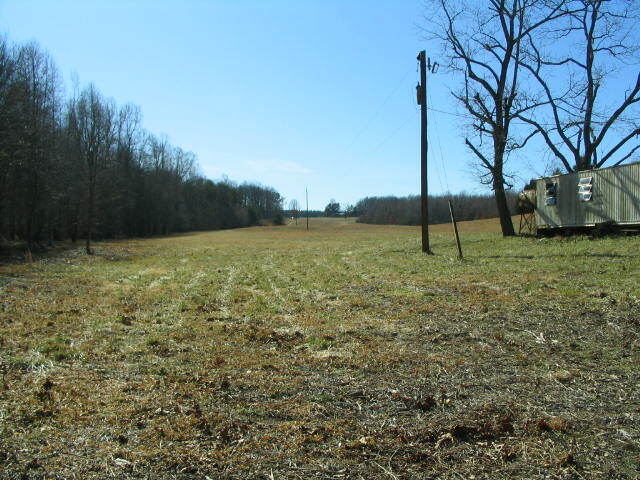 Any usable farmland that is for sale either gets chopped up into a subdivision or is marketed as a gentleman’s farm, estate, or horse property at an exorbitant price. We did find one property that was only five minutes from Gavin’s job that might have worked, but the owner did not like our low offer, and we didn’t like the property enough to try to negotiate the price. We gave up on Bedford and began looking at properties that were up to an hour away from our jobs, which we previously had thought was ridiculously far. Gavin and I are not big fans of wasting money and time on commuting, but when it came down to being able to start farming in a year or being able to start farming in 10 years, we both decided that we would just have to sacrifice for a while. Sorry, planet. At least when we start farming full-time we will only have to drive a couple times a week. So finally one day I came across the website of a developer who was selling larger tracts of raw land. And some of it actually looked farmable. Even though it was pretty far away, we decided to take a look. It was ALMOST in our price range. And it was way more land than we would have ever thought we could afford. We saw the property for the first time in October last year, and thought it had real potential. Half the land is in rolling fields, and the other is a cut-over hardwood forest. It has a small creek and a spring, is surrounded by low hills, and is pretty private. This is what the property looked like in February, when we visited it for the second time. And it was still on the market. We were pretty excited. When we looked at it in October we knew it would be a long shot. We couldn’t afford the land without selling our house, and there were still a few projects left to do on the house before we could put it on the market. By the time we got a realtor to list the house in February, we were chomping at the bit to get the property. It was a long two months until we got an offer on the house (it seemed like a long time to us, but really in the market at the time it was a pretty fast sell), and then closing was another month after that. So we didn’t put in an offer on the land until the beginning of May! Since it had been on the market for so long Gavin was able to negotiate a greatly reduced price, which put it right in line with what we had wanted to spend in the first place. 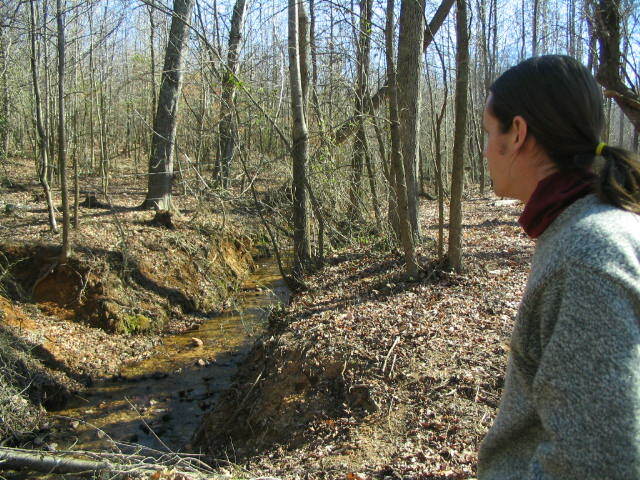 We also ended up buying an extra three acres from an adjacent landowner to provide more of a buffer on the north end of the property, and so that the creek would be entirely on our property. 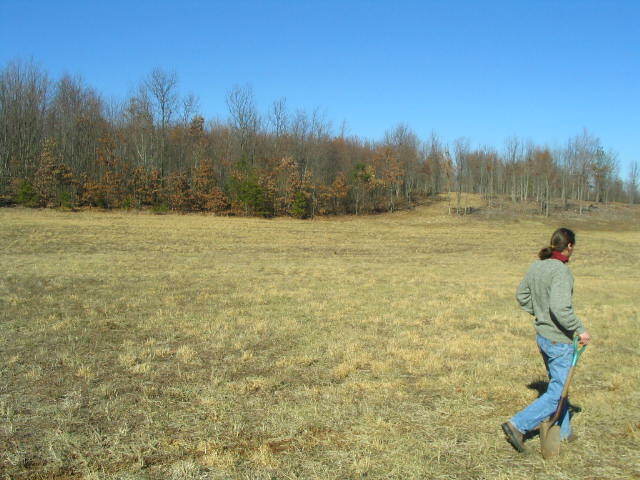 It took another month and a lot of work to get the extra 3 acres surveyed in, but we closed on June 2, 2009. We took out a loan with Farm Credit, who we would highly recommend if you are buying raw land and have the required 20% down. They were very friendly and easy to deal with, and the rates were great when we closed thanks to the down market- 6.875%. For a loan on raw land that is very good. So we ended up with 40.64 acres! 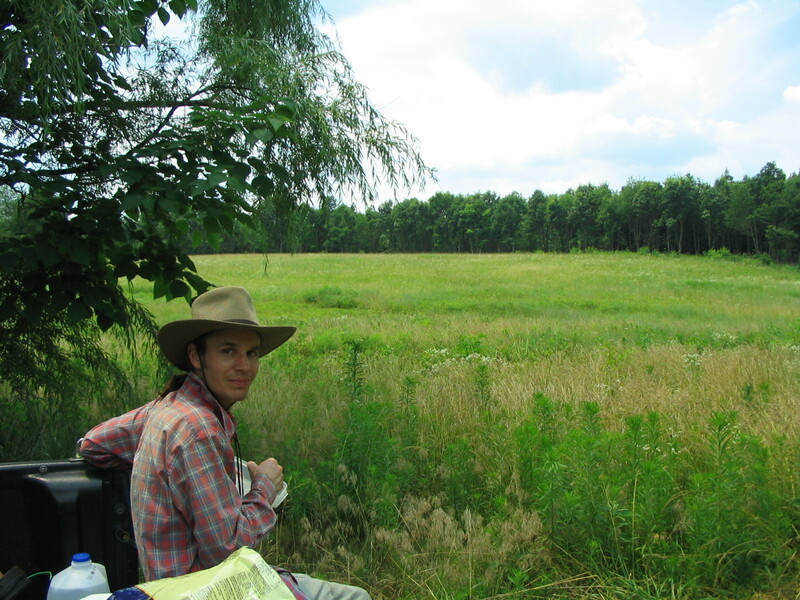 Before we closed on the land Gavin met the neighbor whose land we pass through to access our property. He told Gavin all about the history of the property, since he had lived in the area his whole life. The land had been in the same family forever, until the developer we bought it from purchased it a year before. The developer had improved the road in by grading and graveling it, and had spent some time chipping out trails through the woods. He buried the old log home and had the north side fenced. His intention was to divide the land into several building lots, but then he found out that since the access road was not deeded, this would not be allowed by the zoning laws. The neighbor told us that the land had been good farmland, in fact, he himself had grown corn, tobacco, and a few other crops there. Gavin found out about several wells that had been drilled on our road within the past year, and the water at those wells was plentiful enough for what we would need for irrigation purposes. It was important to Gavin to find out this information and to meet some of the neighbors before we bought the property.